Novelist, poet, critic, lay theologian, and best-selling author of the 'Narnia' series, C. S. Lewis� works have become timeless classics for adults and children around the world. 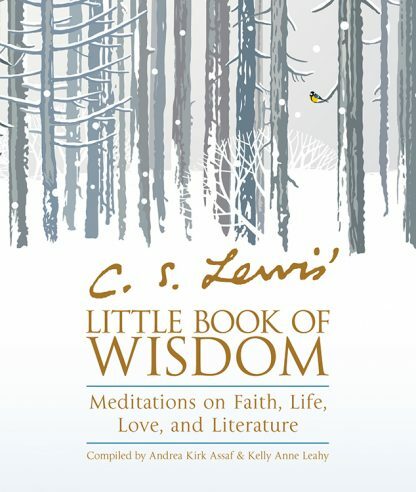 Here in one concise volume is the essence of his thought on subjects ranging from love and faith to ethics and morality and myth and literature that will throw open the windows of the soul and provide readers with bite-sized nuggets of wisdom and inspiration from one of the best-loved writers of the 20th century. This lovely little gift book will provide sustenance, wisdom, and hope for both believers and seekers. And, most importantly, it will provide an entry point for those unfamiliar with Lewis that will make them want to explore his fiction and nonfiction works. C. S. Lewis (November 29, 1898�November 22, 1963) was a British novelist, poet, academic, medievalist, literary critic, essayist, lay theologian, broadcaster, lecturer, and Christian apologist. He held academic positions at both Oxford University (Magdalen College, 1925�1954) and Cambridge University (Magdalene College, 1954�1963). He is best known for his works of fiction, especially The Screwtape Letters, The Chronicles of Narnia, and The Space Trilogy, and for his nonfiction Christian apologetics, such as Mere Christianity, Miracles, and The Problem of Pain. Andrea Kirk Assaf is a Rome-based journalist who has been employed with Inside the Vatican since 2002 and has covered three pontiffs. She is the compiler of Pope Francis� Little Book of Wisdom and divides her time between a farm in Remus, Michigan and Rome.